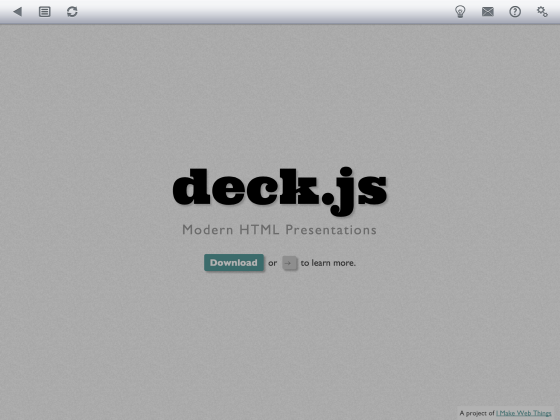 Use every pixel of the iPad retina display for your interactive offline HTML presentations. HTMLPresenter is the latest iPad App for people wanting to impress. 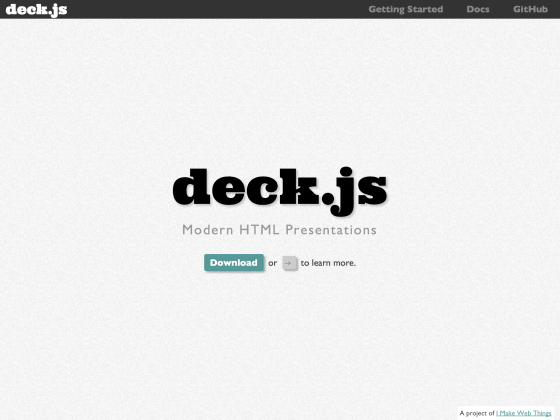 Securely distribute your HTML presentations without an IT department. 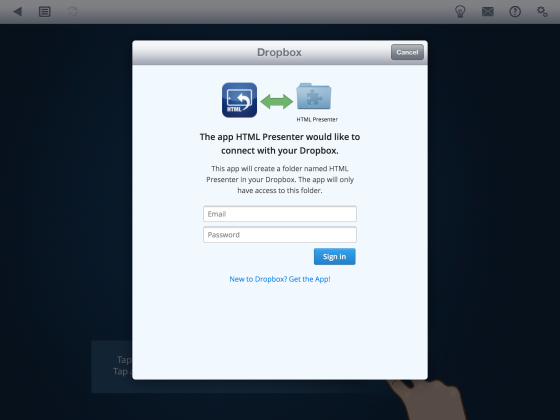 HTML Presenter is an iPad App that keeps others in sync with your Dropbox or sFTP account. There’ll never be an easier way to prototype your next App idea. 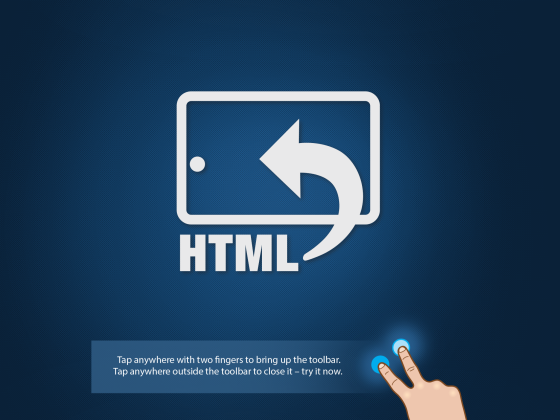 Create your App in HTML and show your fans using HTML Presenter. You might even find that the result is good enough that you don't need expensive Objective C code, like the developers of Scrambled. I think this app is really GREAT for anyone who needs to show a local offline and uploaded to any web application client-side. I have used it for two years, I have spent days looking for a product so around on sites and the app store, is worth all the money it costs, guaranteed! Brilliant! - An easy-to-use solution to the problem of presenting web sites offline at meetings. 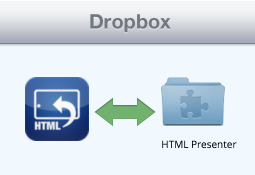 Create the HTML and associated files on your computer, zip up the directory and copy to the synced DropBox folder. Great for showing site prototypes (as long as it's client-side - no PHP or Database etc). No problems so far with jQuery/CSS etc. Took me a while to find this - it should be a featured app! Great! - This does exactly what I want it to do, on the first try, with no mucking about in file conversion or extra programming. My HTML site also looks exactly as programmed on the desktop, so no reformatting is required. Does exactly what it says it does. Easy sync. What a great way to present ideas and prototypes. Just what I needed - I needed an app to show an HTML project to a client -- a simple thing, I thought -- but almost impossible to find. This was the only app that could do it. ... I was able to show my complex HTML file to my client and it worked perfectly. Excellent app! I have been looking for a reliable way to demo and test iPad web apps offline. It seems your app is the first one that actually works flawlessly. 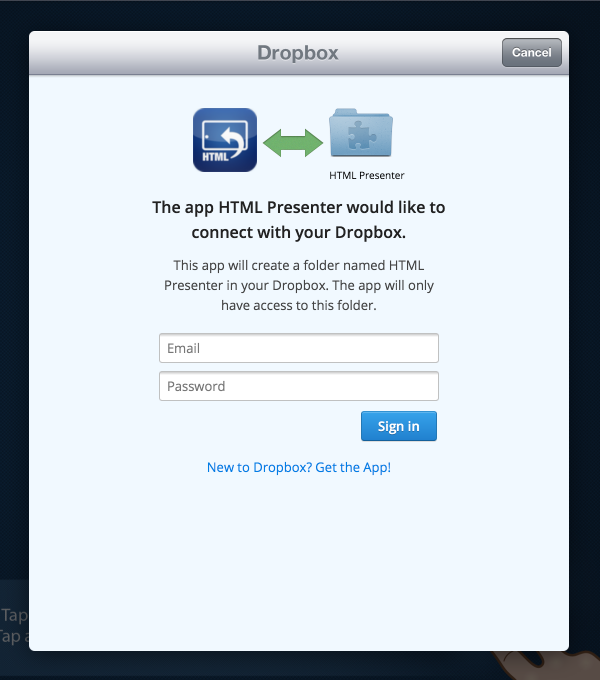 What’s new in HTML Presenter Pro? 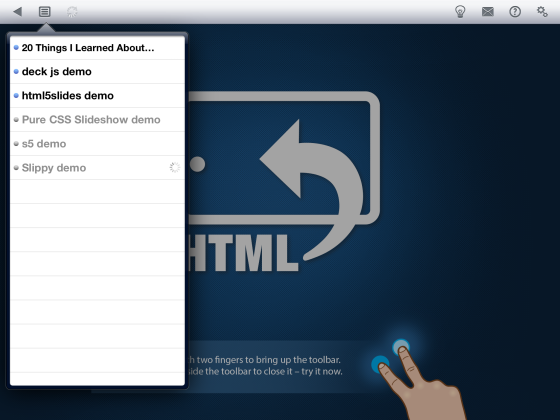 What’s new in HTML Presenter version 1.2.3? What was new in HTML Presenter version 1.2.2? 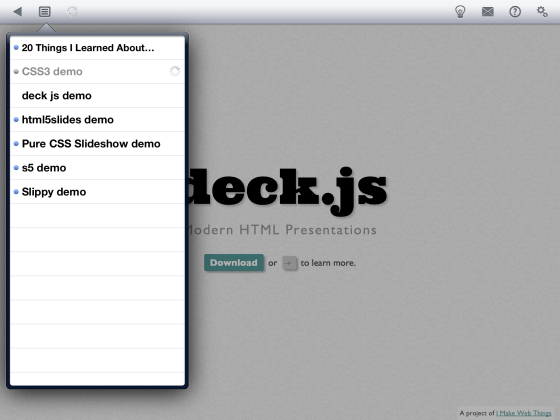 New APIs: showPresentation(), getVersion() and show by URI. What was new in HTML Presenter version 1.2.1? What was new in HTML Presenter version 1.2? What was new in HTML Presenter version 1.1? © 2016 Allori Pty Ltd.